Hospice and Palliative Care Federation of Massachusetts HPCFM provides hospice information and resources for Massachusetts. New Hampshire Hospice and Palliative Care Organization NHHPCO provides hospice information and resources for New Hampshire. Massachusetts Department of Health and Human Services Regulates hospice care in Massachusetts. New Hampshire Department of Health and Human Services Regulates hospice care in New Hampshire. The Centers for Medicare and Medicaid ServicesThe Centers for Medicare and Medicaid Services is the US federal agency that administers Medicare, Medicaid, and the State Children's Health Insurance Program. This link takes you directly to the Hospice Center page of the CMS Web site. Growth House, Inc. provides this portal as an international gateway to resources for life-threatening illness and end of life care. 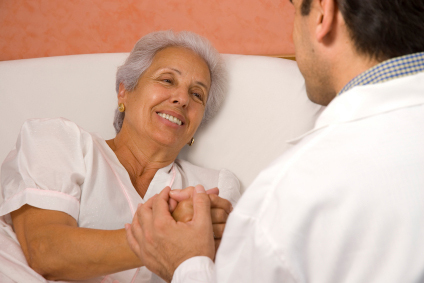 The Center to Advance Palliative Care (CAPC) provides health care professionals with the tools, training and technical assistance necessary to start and sustain successful palliative care programs in hospitals and other health care settings. The Dartmouth Atlas Project works to accurately describe how medical resources are distributed and used in the United States. The project offers information and analysis regarding national, regional, and local markets, as well as individual hospitals and their affiliated physicians, in order to provide a basis for improving health and health systems. The Brown University Center for Gerontology and Health Care Research, with funding from the Robert Wood Johnson Foundation, is engaged in a research effort to use both existing and new data collections to describe the dying experience in the United States of America utilizing maps which display geographical data about quality of end-of-life care. The National Center for Health Statistics is a U.S. agency that compiles statistical information to guide actions and policies to improve the health of the United States. The Symptom Research interactive clinical research textbook contains over 20 chapters on different aspects of clinical pain and symptom research. PubMed is a service of the U.S. National Library of Medicine that includes over 17 million citations from MEDLINE and other life science journals for biomedical articles dating back to the 1950's. It includes links to full text articles and other related resources. Shaare Zedek Reference Database is a searchable database of over 30,000 references related to Cancer Pain and Palliative Care. The National Hospice and Palliative Care Organization website is a searchable database with journal articles, web sites, books, conference papers and sessions, organizations, program assessment and improvement tools. The Mesothelioma Guide website provides extensive information regarding the disease, symptom identification and treatment options.